The Bible teaches that people can only be saved by good works! 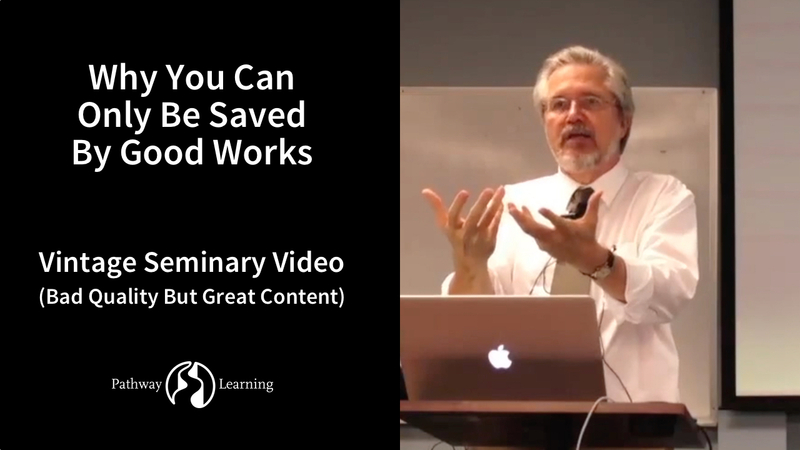 This brief video (5:40) will help you understand why the only way God can save people is “conditionally”, through good works of obedience to God’s Law. Editor’s note: Over 100 members of Early Rain Covenant Church in Chengdu, China, were arrested beginning Sunday, December 9. 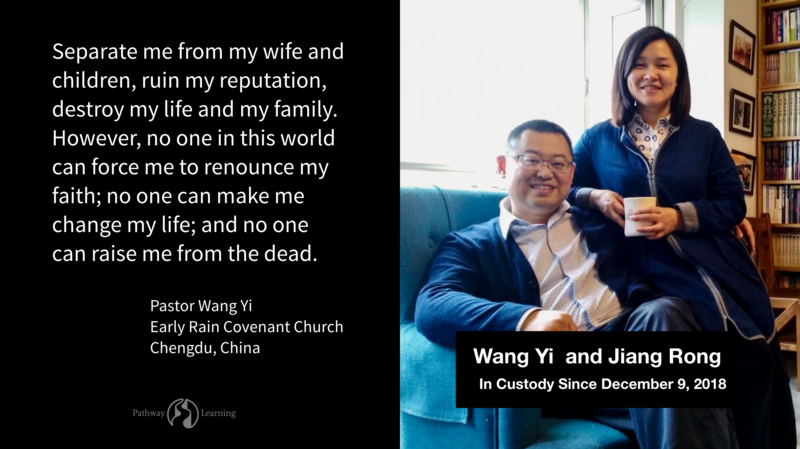 Among those taken away were Pastor Wang Yi, senior pastor of Early Rain, and his wife, Jiang Rong. Pastor Wang Yi and his elder Timothy Li Yingquiang are still in custody, along with others. Wang Yi is one of China’s most prominent protestant pastors, a respected intellectual, a legal scholar, a renowned human rights advocate, and a church movement leader. His Early Rain Covenant Church is one of the best known unregistered “house” churches in China. Under President Xi Jinping, China’s increasing crackdown on religious freedom is escalating especially since a new set of regulations to govern religious affairs came into effect in February 2018 to increase punishments for “unofficial churches” like Early Rain. This story is being reported in the New York Times, Wall Street Journal, Reuters, AP News, World Magazine. All of the documents below are primary source documents written in Chinese by the persecuted church leaders at Early Rain Covenant Church in Chengdu, China as well as important documents signed by groups of Chinese church leaders. Francis Foucachon with Heritage Huguenot for the French translations, and to our ministry partner Nathaniel Adawonu, with New Harvest Mission International for providing these French translations to more than 100 indigenous French-speaking pastors and church planters in their network in Togo West Africa and calling them to pray for their persecuted brothers and sisters in China. and IMPACT (Acts 29 in Italy), Justin Valiquette with Acts 29 Italy, Nuova Vita (New Life) Salerno for the Italian translation. Special thanks also to our ministry partners in Korea, who asked to be anonymous, for their translation work. Thanks also to Rev Julio Delgado (translator), Pastor Emeritus of Palmetto Presbyterian Church, Miami, Florida, Rev Elias U Collado (editor), Pastor Emeritus of Palmetto Presbyterian Church, Miami, Florida, and Rev Edwin Collado (coordinator), Pastor of Redeemer Presbyterian Church in Miami, Florida for their contributions in translating this statement into Spanish and helping make this available to the Spanish-speaking world. Please pray and share with others. Thanks! * More translations coming soon, we hope. Please share these documents with others for prayer. Thanks. 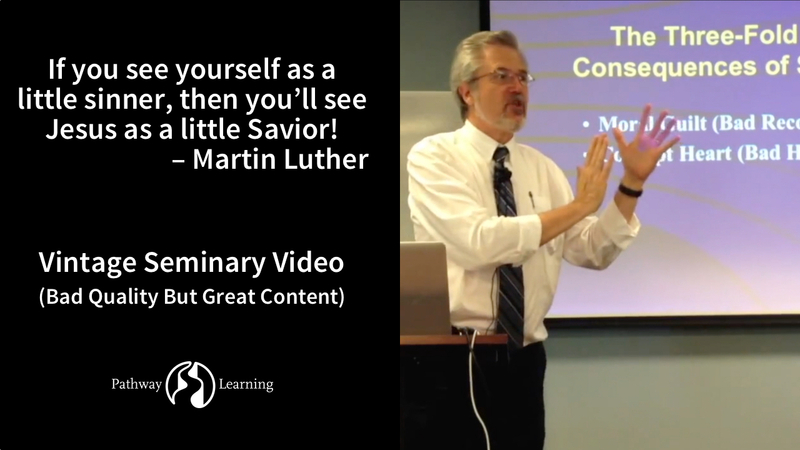 you will inevitably see Jesus as a little savior. The degree to which you understand the problem of sin, is the degree to which you will inevitably understand the good news of the gospel. 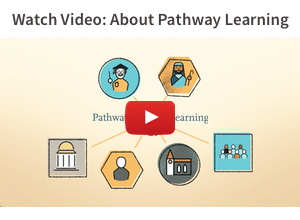 This brief video (9:02) will help you understand the 3-fold effect of sin so you can understand and experience the 3-fold blessings of the gospel in Jesus Christ.